MerPerle Hon Tam Resort is a leading resort brand in Vietnam. 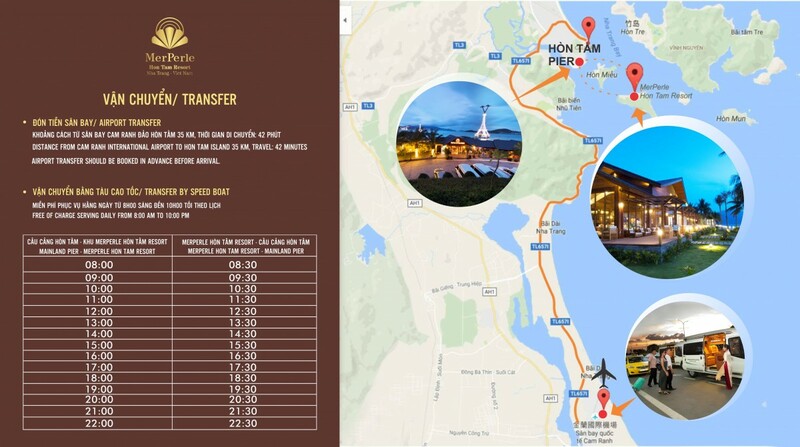 We provide a luxurious tourist experience based on our business philosophy of providing our guests with a diversified range of products supported with outstanding service which delivers a unique experience and a feeling of oneness with the Vietnamese culture and nature. MerPerle Hon Tam Resort boasts forty-nine luxurious bungalows and fifteen villas located on the islands along the most charming beach in Nha Trang Bay, one of the most beautiful bays in the world. Situated on slopes with cooling breezes, between the virgin forest and facing the jewel of a sea, each bungalow is a peaceful island that is reserved only for you.